★Tool change is driven by servo. Adopted servo motor is silent, high speed and large torque.Tool change is fast. 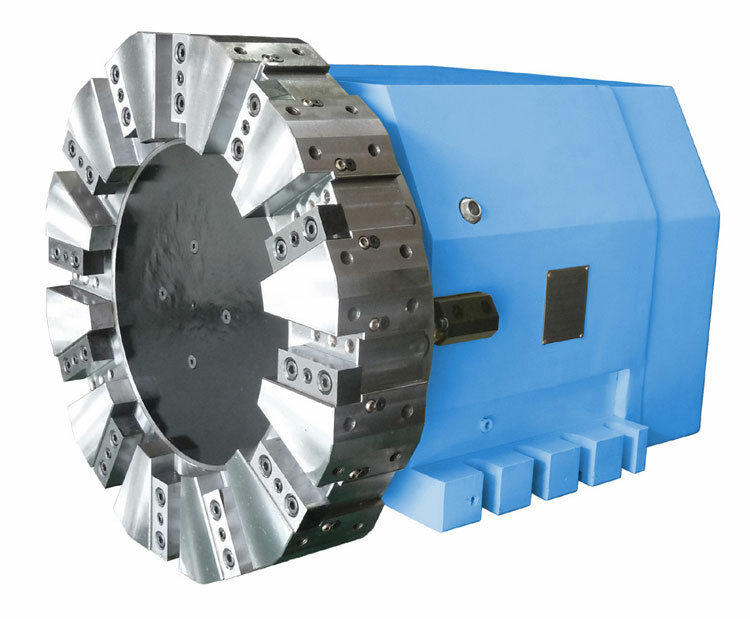 ★Lockup hydraulic cylinder matched up with precision concave-convex gear positioner, gets a precision tool change positioning. ★It adopts sensitive and reliable proximity switch and exquisite designed electrical induction system for fast and correct induction without disorder of tool numbers. ★Optimized external structure, lower center of gravity, which can withstand larger force and resist larger shock.